I’m not going to call it the start of the sea-change, but we could be headed in that direction if the likes of corporate biggie Golf Digest is bringing it to the fore and not trying to ignore the findings. 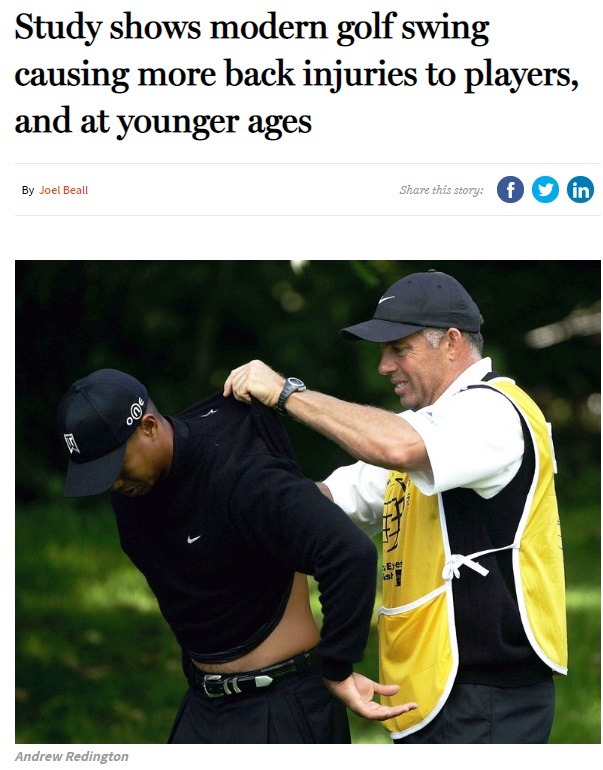 “We believe Tiger Wood’s experience with spinal disease highlights a real and under-recognized issue amongst modern era golfers,” writes Dr. Corey T. Walker. “RTD results from years of degenerative ‘hits’ or strains on the spine resulting in early onset breakdown, instability, and pain. 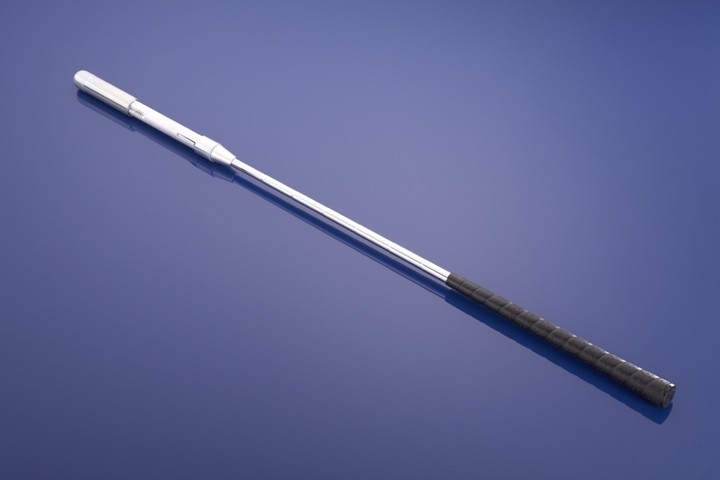 The first order of business, before we even talk about diagnosing and treating these conditions, in my opinion, would be to wrap that Modern Golf Swing theory up, tie a pretty little bow around it, and transport it to the nearest landfill with a canister of flammable liquid and a lighter. This line of thinking is not new, as Phil Mickelson has long been a proponent of these findings. “You can play golf for a lifetime and injury-free if you swing the club like Bobby Jones did, like Ernest Jones used to teach—where it’s a swinging motion rather than a violent movement,” Mickelson said at the 2016 Masters. All I can say is, it’s about time, and this is a good thing. The only negative is the hundreds or thousands of golfers who will still incur damage to their bodies swinging in the Modern Golf Swing style before that sea-change occurs, not to mention the countless golfers who have already wrecked themselves swing Modern-style. But it’s at least a start! I’ve said for years that, had Tiger Woods learned a more mechanically-sound golf swing at some point in his career before the years-long struggle from 2009 to 2018 (half of most careers by far), he would have smashed Jack Nicklaus’ record of 18 majors years ago. Sadly, we can at least hope that the next greatest-ever caliber player will hit the ground running with a proper mechanically-correct golf swing model that won’t derail his own quest for the record of 19 or more majors. For TW however, too little, too late. I am not willing to throw the entire instruction industry under the bus as I think most instructors believe they are working in their client’s best interest. But modern golf swing methods are like smoking tobacco: You may not see the flowers effects today, but keep smoking or swinging with modern mechanics and it is just a matter of time.. All of the New generation of professional golf touring pros should take the time to re-tool their motion, their swings and when they Rite, still have the ability to move freely! So, I agree with you PA! Get rid of the bad theory and the problem will resolve itself. Next Joe Beall article: A focus on the online instruction world and purveyors of anatomically correct, mechanically efficient golf swings. .There’s a guy in Canada, the next in a long line of instructional seers who hail from north of the border. Out east from Toronto a delightful grass range serves as home for one of the more interesting proponents of something known as the MCS swing…. .
Meant to write: The next Joe Beall article…SHAKE ‘EM UP JOE!! Once you corrected yourself, my OCD ran amok and I had to put in the edit for you Peter, hope you don’t mind! What a surprise. Almost unreal that they’d ever even attempt that. Looking forward to the future, if and when it arrives.